The new PureThermal 2 Smart I/O Module with Thermal by FLIR® is a hackable thermal USB webcam for the FLIR Lepton® thermal imaging camera core. Just like its PureThermal 1 predecessor, it ships pre-configured to operate as a plug-and-play UVC 1.0 USB thermal webcam that will work with standard webcam and video apps on all major platforms. For developers, its reference firmware, viewer software, and hardware schematic are all open source. The FLIR Lepton is required for operation of PureThermal 2 (PT2) but is not included by default with purchase. Get PT2 Now. 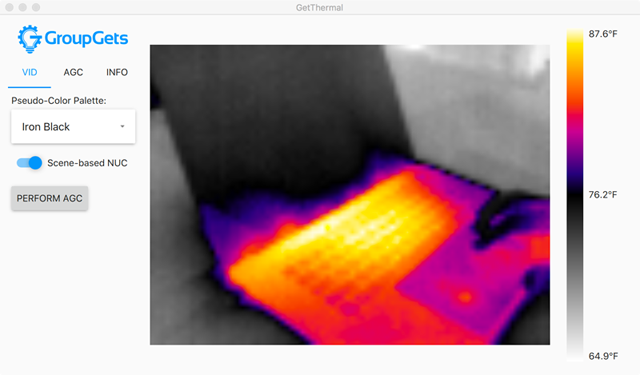 Get Thermal video over USB right out of the box using common apps like VLC Media Player on Mac, Linux, PC, or even Android (see video below). Q. Which Lepton thermal imagers is this board compatible with? A. 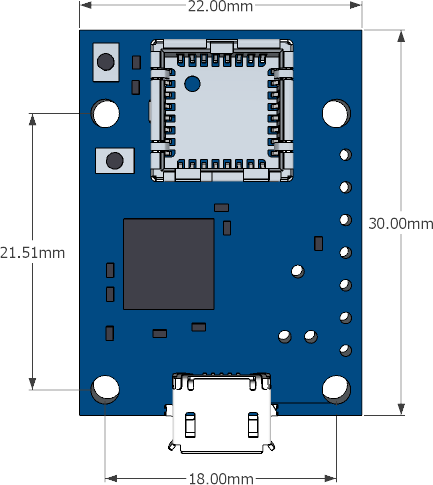 This board is compatible with all production FLIR Leptons. We recommend the radiometric Lepton 3.5 for use with PT2 for professional thermal imaging applications. Q. Which apps work with PT2 on various platforms? Q. Where can I get the software to develop for this board? A. We have been using compilers found at https://launchpad.net/gcc-arm-embedded and more information and resources are available ST's STM32 software resources page. Q. Is there is an IDE for modifying code, compiling, debugging? A. Any environment that works with the STM32 platform (and its various discovery/evaluation boards) will work, including, but not limited, to MDK-ARM, EWARM, TrueStudio, etc. The reference firmware includes a project to import into System Workbench for STM32 in Eclipse which is free and supports the entire compiling and debugging workflow. Q. Can I debug over JTAG? A. While flashing is now possible over USB, we understand that JTAG can be useful if not essential for some applications. We have broken the JTAG signals out to external pads with holes for locking a "pogo" cable into. Part number coming soon.